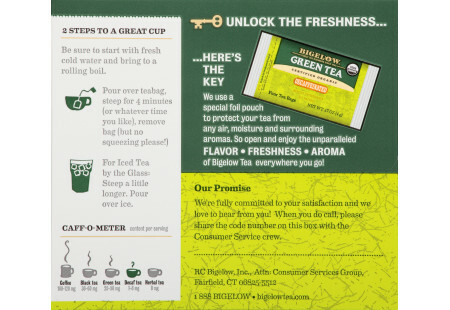 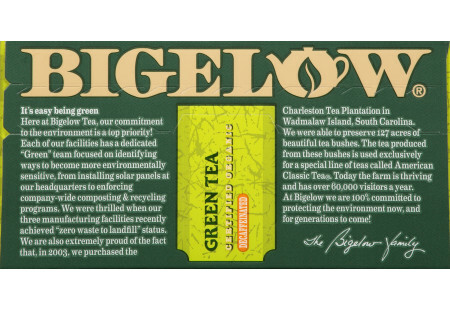 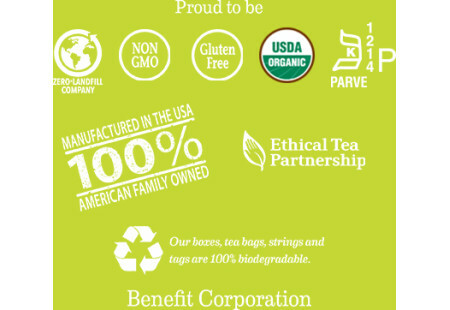 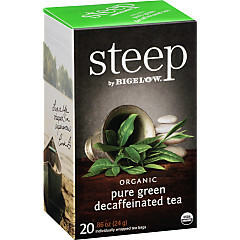 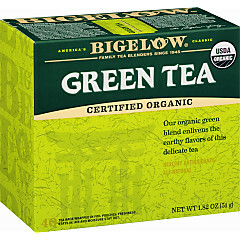 Bigelow Certified 100% Organic Green Tea is tea with a healthy attitude! 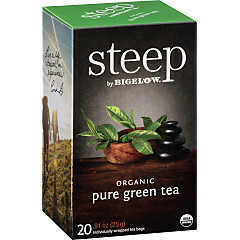 Mother Nature gave us a wonderful gift when she packed beneficial antioxidants into Green Tea. 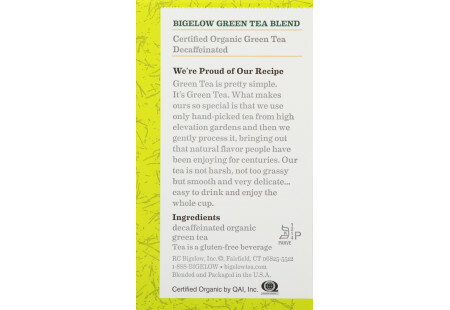 This certified 100% Organic green tea has the added benefits having been grown by socially-responsible farmers who are committed to using only natural fertilizers that are free of synthetic pesticides and additives. 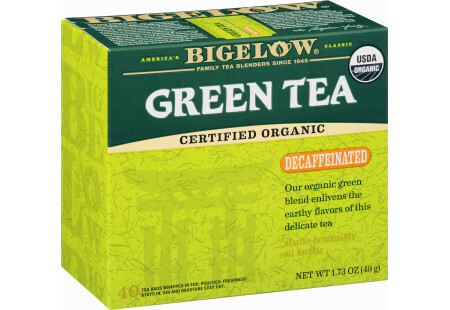 Decaffeinated Organic Green Tea offers the same delicious flavor of regular Organic Green Tea in a naturally decaffeinated form. 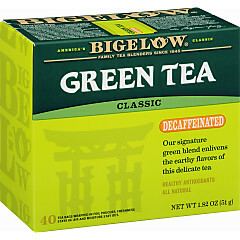 Our natural decaffeination process removes 99.6% of the caffeine without sacrificing flavor or the benefits of green tea.